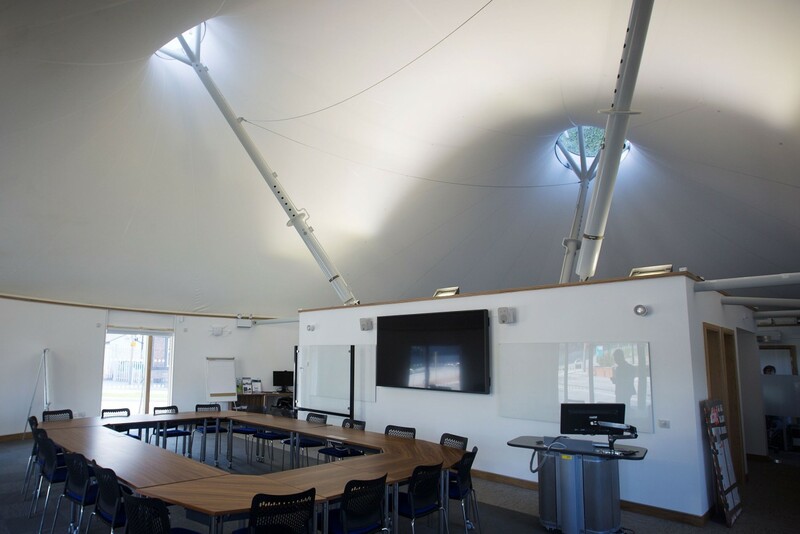 Space were appointed by Arup as part of their multi-disciplinary design team for The Key project, an iconic design for a tensile fabric research building which serves as a marketing and presentation suite. 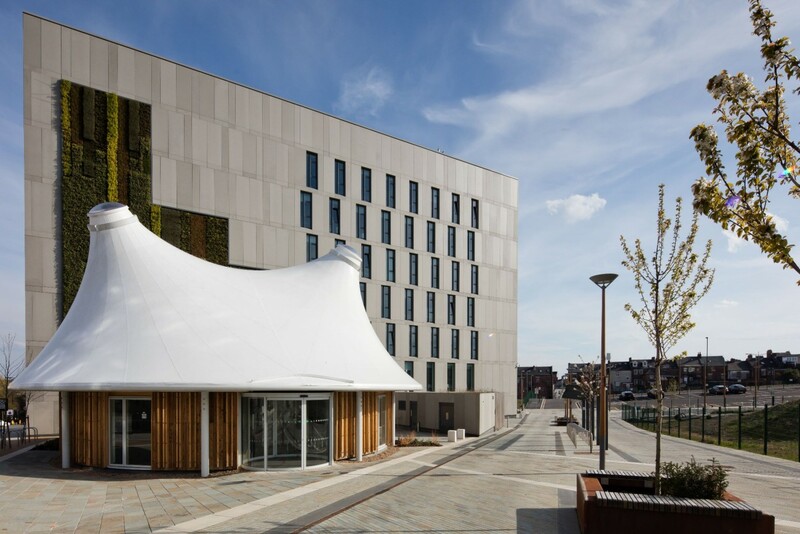 The tensile fabric skin is made up of three independent layers, a PVC outer layer, a foil faced insulation layer and a woven cloth inside layer. 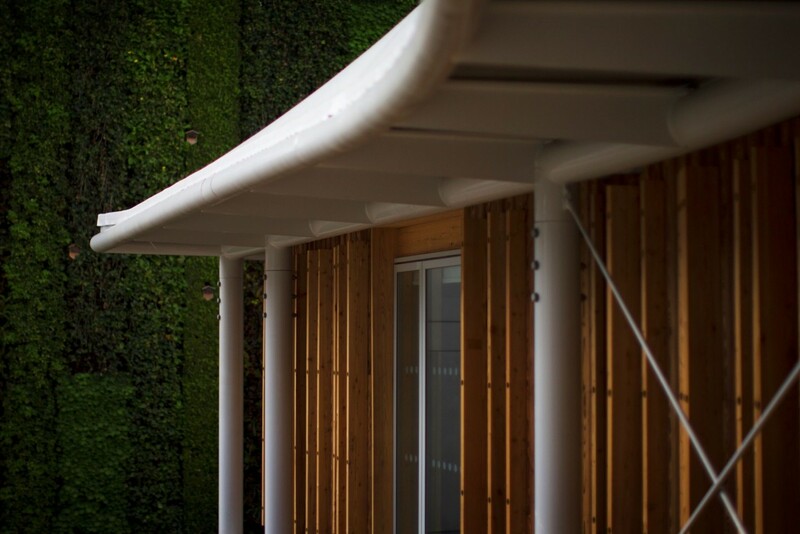 Together they achieve both thermal insulation and airtightness compliance against current Building Regulations. 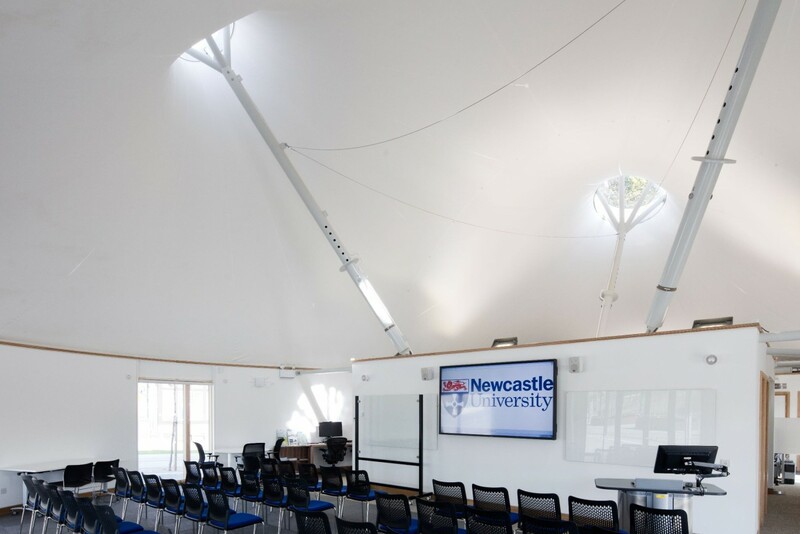 The building also houses the marketing and sustainability team for the adjacent Science Central site, a major joint venture with Newcastle City Council to encourage science related investment to the city.